SemiAccurate reports that Apple is ramping up its efforts to control its own supply chain, seeking to produce its own chips and buying into a chip fabrication facility to accomplish that goal. Apple has just done something that SemiAccurate has been expecting for months and entered the fab industry. No we are not joking, Apple just bought into a fab, and not in a trivial way either. With the majority of the report behind a paywall, details remain scarce, but the teaser walks through how Intel, TSMC, Global Foundries, and IBM are unable to entirely meet Apple's chip needs as it looks to move away from Samsung as the manufacturer of A-series chips for its iOS devices. Tags associated with the article include all of those companies, as well as "UMC", which undoubtedly refers to United Microelectronics Corporation, a Taiwanese semiconductor company with a focus on the foundry business, hinting that UMC may be involved in Apple's effort in some manner. UMC currently operates a number of fabs in Taiwan, and also has a facility in Singapore that the company just weeks ago designated as its Center of Excellence for advanced specialty process technologies. Any move by Apple to produce its own chips is almost certainly years in the future given the difficulty of building up that expertise, and so Apple will need to continue relying on manufacturing partners for its A-series chips for the foreseeable future. 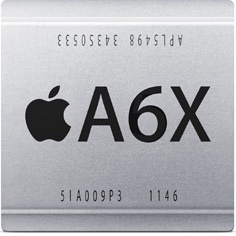 Just last month, TSMC reportedly confirmed that it has struck a deal to produce A-series chips for Apple, offering the iOS device maker a path to minimize its reliance on Samsung. The TSMC deal comes after years of rumors as TSMC suffered from technical glitches and other issues that kept Apple from committing to the chipmaker. SemiAccurate has a mixed track record, having correctly predicted Apple's shifts in graphics chip suppliers for its Mac lines several times, but also incorrectly claiming in May 2011 that Apple would soon be moving its Macs to ARM processors. More recently, the site has been keeping on top of Apple's work to recruit AMD engineers for its "Orlando GPU Design Center". Update: CNET says that the report cites Globalfoundries as Apple's partner in the fab project. CNET's own sources indicate that the two companies are still "kicking the tires" and that no deal has been yet been reached. "This isn't the first time. [Apple and Globalfoundries] have kicked the tires before. But [Apple] is doing this again to look at a fab to offset risk," said the source. The source continued: "Globalfoundries and Samsung have the same technology foundation based on an IBM joint development agreement. So that gives [a possible deal] a little less risk if they're looking at a secondary option to offset [the current chip manufacturing] with Samsung. Samsung's fab in Austin and GF's fab in New York could both ramp a similar product and GF could offset capacity that Samsung can't fulfill." What is this macrumors, a freshman psych paper? Buy the report if you're going to quote all of its pertinent information. So much for innovating. Apple just buys out start up places and rebrands it. How much innovation can they really do in regards to chips?? That's not really their business. Also, how many other companies out there buy technology and use it as their own? Tons, in fact, they all do. Why? Because it's cost effective, it just makes sense. Well...you don't lack for confidence. Excellent move by Apple to become more vertically-integrated. If they can fairly rapidly acquire the human expertise required, this may be a transformative moment for the Shiny Fruit Gang. WTF, you have one job MacRumors. Take some of that ad revenue and conquer the paywall instead of leaving us hanging until someone in the forums coughs some hard earned cash to do it themselves. You made your own car, eat your own grown and raised food, and you built your own house too, right? So much for innovating. Apple may have invested in a FAB partnership to secure a supply chain, but I doubt that they are going into the Semi Manufacturing business. They invested in LCD manufacturing facilities, but they don't run them. If they spent the amount of money required to set up a sub 28nm FAB you would see it in the next statement filed with the SEC. Qualcomm sells many more Snapdragon and baseband parts than Apple does Ax processors and they don't own a FAB. AMD got out of the FAB business. FABs are expensive and you need at least two independent lines. You can't move to another process node and bring down your FAB line so you need a parallel FAB for a new node. it only make some sense if Apple is adopting an IBM model and will start making *ALL* or most chips in their products. Then sell excess capacity. I doubt it. TSMC, UMC, Global Foundries, etc all sink billions in R&D to ramp up a new processes. I'll believe this story when I see it. Do you read? This is a strategic move that we'll only see its results a few years down the line. They are looking to build expertise in that industry, what's wrong with that?